I was recently approached by Hope Radio 103.2FM, Laura Bennet and Duncan Robinson for an interview on workplace values. We had a great conversation and I was impressed by both Laura’s and Duncan’s infectious energy and humour. When I discovered they both have enjoyed fascinating career paths before joining Hope Radio, I had to have them on my podcast to talk about their journeys! 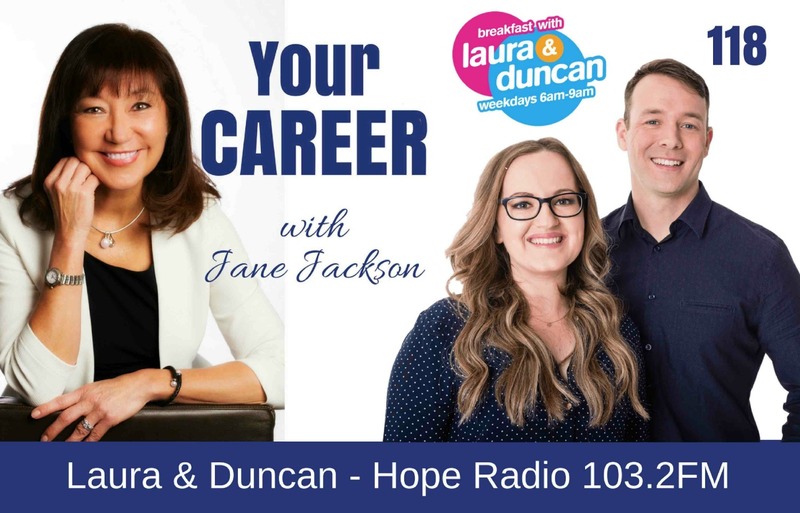 Laura and Duncan have taken such different paths in their careers before joining forces on Hope Breakfast. They share the key qualities and transferable skills required to be a success in broadcast journalism and how to be an engaging radio host. Enjoy their top tips for success! What’s their radio show, Hope Breakfast, all about? From 6 am Hope 103.2 starts every weekday with a ‘healthy’ breakfast filled with upbeat family fun and loads of useful news and information. Covering everything from world affairs to crazy radio competitions, this is the breakfast show that promises to bring a positive start to every workday. Duncan is Breakfast co-host on Hope 103.2FM. He’s a Pastor in Sydney Australia, at Northgate. Previously he spent 5 years planting in Phoenix Arizona. Married to Carly they have two children. He has authored two books ‘Unlikely Hero‘ and ‘Vanguard‘. Currently, lives in the Northern Beaches of Sydney and spends his spare time doing Brazilian Jiu Jitsu.